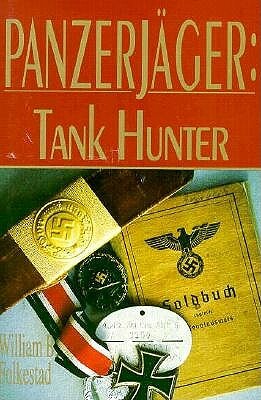 By: Averbeck, Bernhard;Folkestad, William B.
Panzerjager: Tank Hunter follows young Bernhard Averbeck as he leaves home to fight on the Eastern and Western Fronts in World War II. The public and specialist alike will recognize that Averbeck's story of frustration and fear, along with the tenacity to survive three years of nonstop combat, are without parallel. Few books have recorded the experiences of the common German soldier on the Eastern Front. No book in English concerns German World War II antitank warfare, and none would compare with this true account of a German soldier fighting with various Panzerjager units between 1942 and 1944 on the Eastern Front and from 1944 to 1945 on the Western Front. German antitank units were the bane of Allied tankers. Averbeck supplies the reader with details of Panzerjager training, equipment, Panzerjager battle tactics, and personal observations of humor and sorrow that reveal in great detail one young man's life on the Third Reich's two fronts. Author: Averbeck, Bernhard;Folkestad, William B. Description: Ex-library copy with usual stamps, stickers, etc. Binding is solid and text/interior is clean and free of marking of any kind. 117 pages, b&w photos.